It was a hot, summer’s day in 1997 when our Mum returned from work with two copies of the first Harry Potter book: Harry Potter and the Philosopher’s Stone. The following week was spent lying in the shade of the garden (summer holidays were actually hot back then), glued to the story of this unsuspecting wizard. Far removed from our suburban home and looming return to an ‘ordinary’ school, we fell in love with JK Rowling’s wizarding world; continuing to read the books and watch the films as they were released over the coming decade. Our only ever disappointment was that these fantasy novels were just that: fantasy. 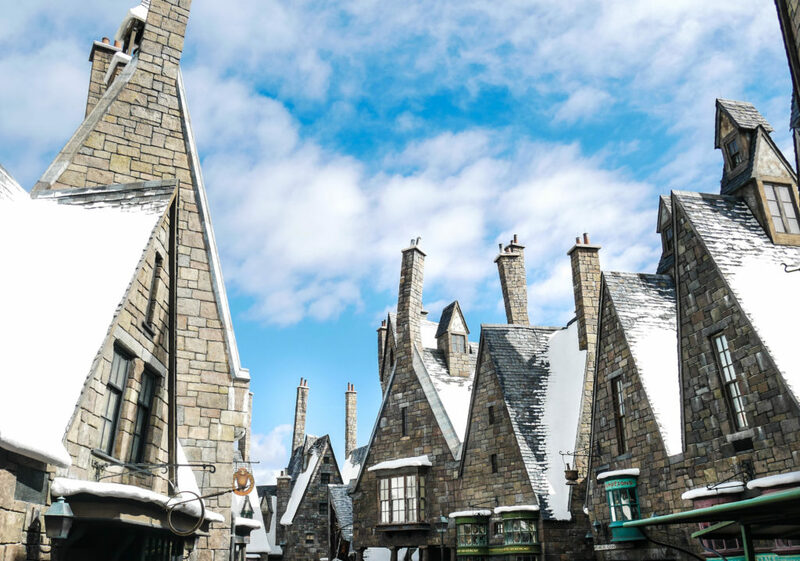 Given our 20-year love affair with Harry Potter, it’s no surprise that The Wizarding World of Harry Potter at Universal Studios, Orlando, was top of our list when we arrived for our week of fun in January. When asked by our fantastic tour guide, Rich, what was the first thing we wanted to see, we shouted “Harry Potter,’ so loudly that we silenced him for a moment. Little did we know that what awaited us was far more than just a few Harry Potter themed rollercoasters or a jug of butterbeer. You see, the Wizarding World of Harry Potter is just that: an entire world. One you can live, breathe, touch and taste. It feels so real that ‘super fans’ have been known to slip through the net of reality whilst in the park. Rich, our guide, told us the story of the first fans to visit Diagon Alley, who attempted to flush themselves down the public toilets in a courageous attempt to reach the Ministry of Magic. Sadly, the flush of the toilet took them absolutely nowhere and the only outcome were soggy, germ contaminated clothes. Whilst Laura and I didn’t attempt to flush ourselves down the loo, we did lose ourselves entirely in this magical world for seven blissful days. 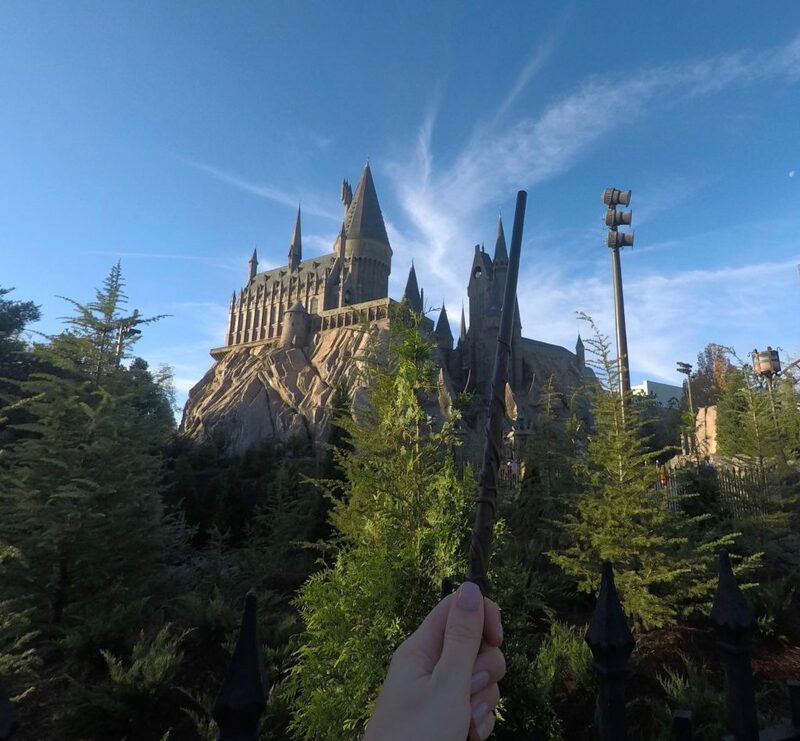 Here’s our experience of Harry’s world and a complete guide to both parks, for those looking to escape the reality of muggle society. Rounding the brick wall into Diagon Alley is a little like going through the back of the wardrobe and into Narnia. The bustling alleyway packed with its colourful shops, the rumbling train overhead and the dragon draped over Gringotts bank, is dazzling. On our first visit to Diagon Alley, we failed to move for ten minutes; glued to the spot as our senses tried to take in all that we could see, smell and hear. 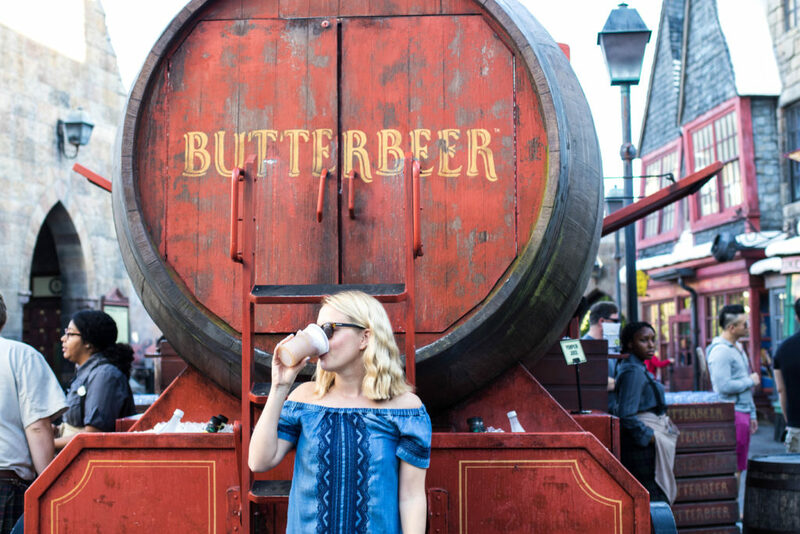 See, The Wizarding World of Harry Potter isn’t just another theme park for kids – it’s a beautifully curated, detailed driven haven for kids and adults alike. It’s true escapism and the perfect antidote for those January blues. The experience, however, doesn’t begin in Diagon Alley, but out on the streets of ‘London’. Hidden away, with no obvious sign post, the first thought of many frustrated visitors to Diagon Alley is to ask one of the King’s Cross employees for directions. Unfortunately, true to the book, the most you’ll get from these staff members is a puzzled look and a shrug of the shoulders. Diagon Alley isn’t for muggles. The only hint that something special might be lurking beyond the brick walls is the Knight Bus, complete with rowdy, dangling shrunken heads. Look carefully and you’ll also see Kreacher, the house elf, occasionally peeking out from behind a curtain at Grimmauld Place . Once you’ve succeeded in your quest to find Diagon Alley, your next task will be to decide where to begin exploring the bustling alleyway. The level of detail in the shop windows alone is enough to keep you busy for an entire morning; from moving knitting needles to Weasley’s Puking Pastills. 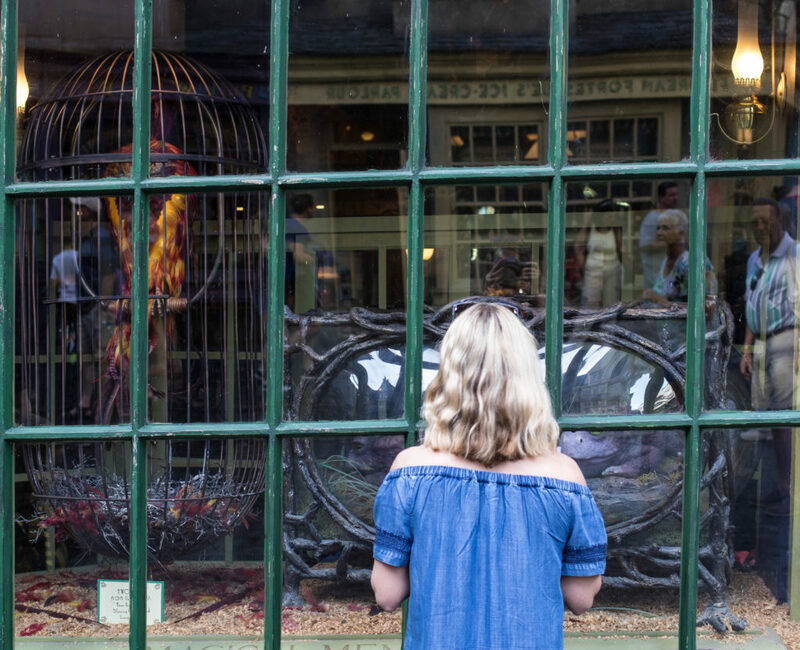 Once you’ve torn yourself away from exploring the shops or indulging in some traditional English grub at the Leaky Cauldron, round the corner and take a step into the sinister darkness of Knockturn Alley, where you’ll find singing shrunken heads and a shop dedicated to the dark arts. 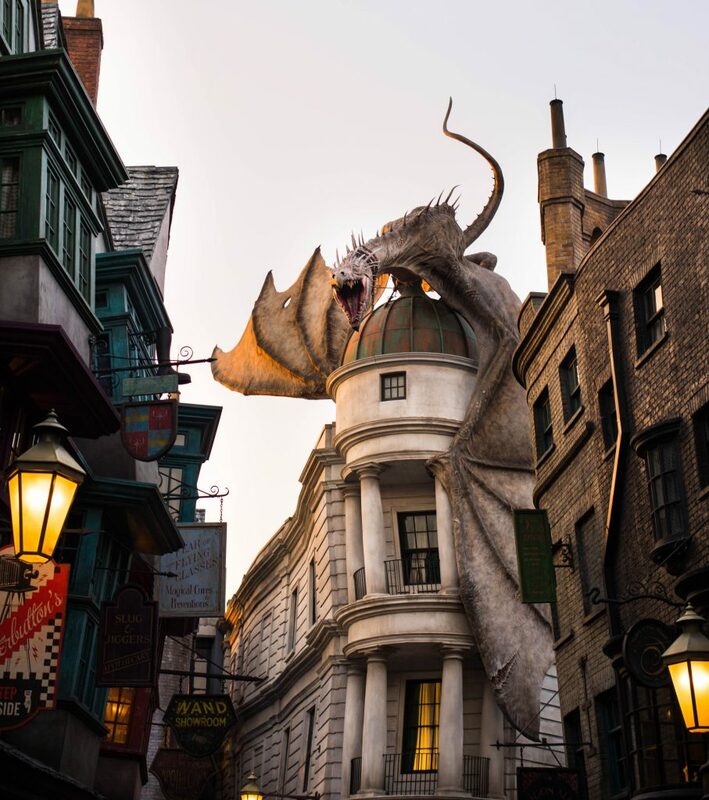 Don’t miss: the dragon releasing her firey wrath over Diagon Alley a few times an hour. It’s hugely impressive; even if it did make us jump. Harry Potter and the Escape from Gringotts: The Gringotts ride is far more than just a ride – it’s an immersive experience. The queue itself is magic, as you snake your way through the vaults of Gringotts bank, complete with chandeliers and eerily life-like bank workers. The ride is a multi-dimensional one (like the Spiderman and Transformers rides), which Laura, unfortunately, discovered made her feel quite queasy. A a result, we ended up with the ride photo below. Glorious. 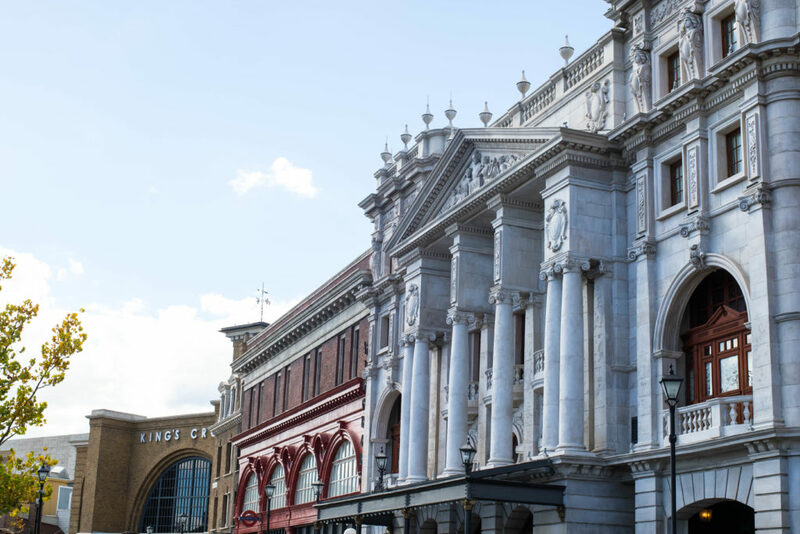 The Hogwarts Express connects King’s Cross, London, with Hogsmeade and Hogwarts in Scotland. Being the cynical sorts, we were half expecting a small children’s train to appear but, as with most of Universal Studios, we were proven wrong. Based on a full steam locomotive, the Hogwarts Express was far from a miniature choo-choo train. It was the real deal. 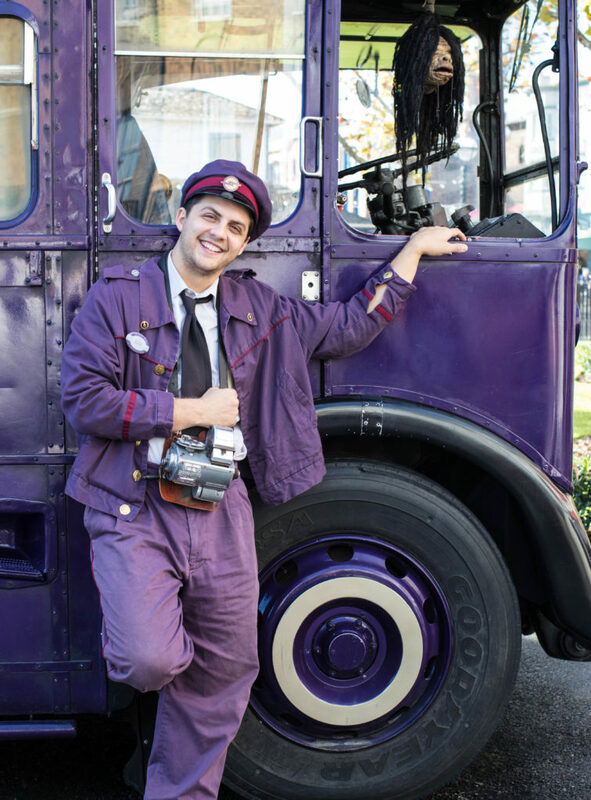 Part of the charm of the Hogwarts Express is not knowing what’s waiting for you as you board, so we won’t spill the beans – but beware of the Dementors. We rode the train multiple times throughout the week and the novelty of getting on-board and journeying through the English countryside didn’t wear off. Arriving in ‘London’ was a little surreal. As we use King’s Cross Station regularly in real life, it was disorientating to walk through a station that looked and felt (the air-conditioning is set to high) like London. There were even your standard London advertisements plastered across the walls. Whilst stood in the queue to board the Hogwarts Express one afternoon, I absentmindedly stuck my finger between two bricks to crumble out the old cement, only to remember that it was a perfectly created fantasy world that I was vandalising. In fact, the more time we spent inside the parks, the easier it was to see how some of those first visitors ended up in the toilets. It all felt so real. The front of King’s Cross -an actual quarter scale replica of the real station – even features your regular departures board with times and destinations, and an English accent announcing the platforms. Don’t miss: the queue from King’s Cross in Universal Studios takes you through platform 9 and 3/4, although you won’t notice it at the time. Make sure you grab a friend to film you as you pass through, for the full effect. Stepping off the Hogwarts Express into Hogsmeade, Scotland (located in Islands of Adventure) was surreal. The wonky stone cottages, covered with snow, looked like a picture-perfect winter scene, except we were stood in shorts and t-shirts under the hot Florida sun. There wasn’t long to ponder this strange juxtaposition, however, before we were swept up with the crowd and taken through the winding streets of Hogsmeade, past the Three Broomsticks and the Frog Choir, performing songs that made you want to bop along whilst extravagantly waving your wand. We had arrived in a land of pure happiness. We were unable to resist trying the local butterbeer and opted to have it at 8am (selecting the frozen option). Although we probably drunk our year’s worth of sugar within 1o minutes, we found the frozen version strangely refreshing. Our teeth may have been screaming for us to stop but we drank every last drop – it’s all part of the experience, right? Much like Diagon Alley, the level of detail in the shop windows is incredible, particularly Honeyduke’s Sweet Shop. 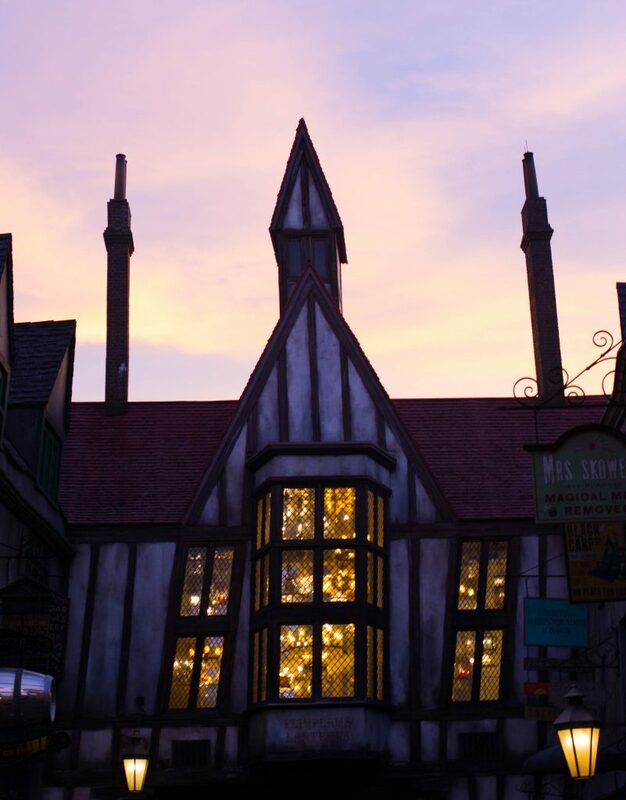 Our favourite shop in Hogsmeade, however, was the Owl Post – aka a stationary lovers dream. In need of a new quill or rubber stamp for your letters? You can purchase those here. How about a Howler to send to a friend who has been a little naughty? Pick it up at the Owl Post. The best bit of this post office, however, is the opportunity to get your letters stamped with the Hogsmeade ink stamp. If you’re feeling extra generous, you can even post your letters from Hogsmeade with special, collectable, Harry Potter stamps. One of the Hogsmeade staff told us of how a lady came to Hogsmeade just to get her wedding invitations stamped. All 250 of them. We’d love to see the photos of that wedding. Dragon Challenge: Riding the Dragon Challenge will be one of our favourite memories of our visit – mainly because we managed to keep our eyes open the whole way around. 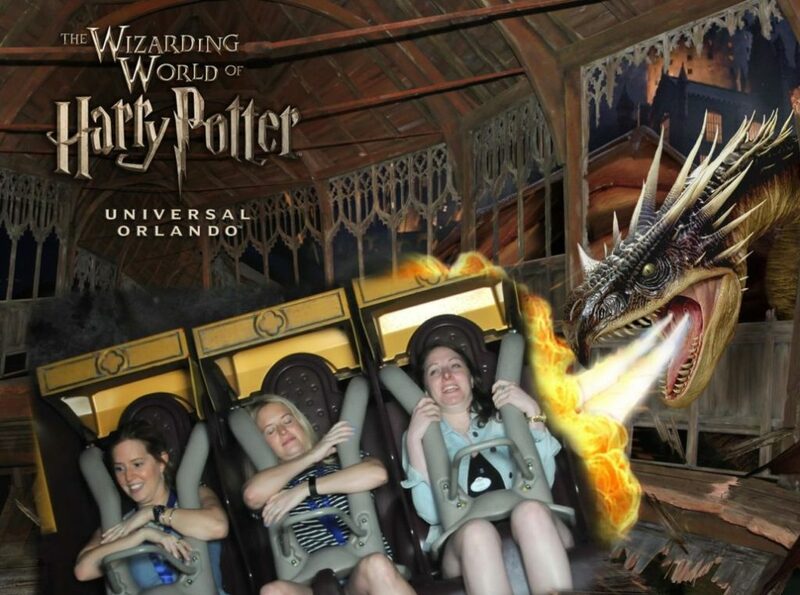 The Dragon Challenge consists of two different roller-coaster tracks, of which you get to choose one to ride. The two ‘dragons’ then compete, as you’re lined up side-by-side. Hint: if you’re looking for speed, pick the Chinese Dragon. Flight of the Hippogriff: If you’re not a fan of ‘big’ rollercoasters and inversions, then the Flight of the Hippogriff is perfect. It still felt quite fast, but sat safely in a train carriage, you don’t have to endure any upside down bits. 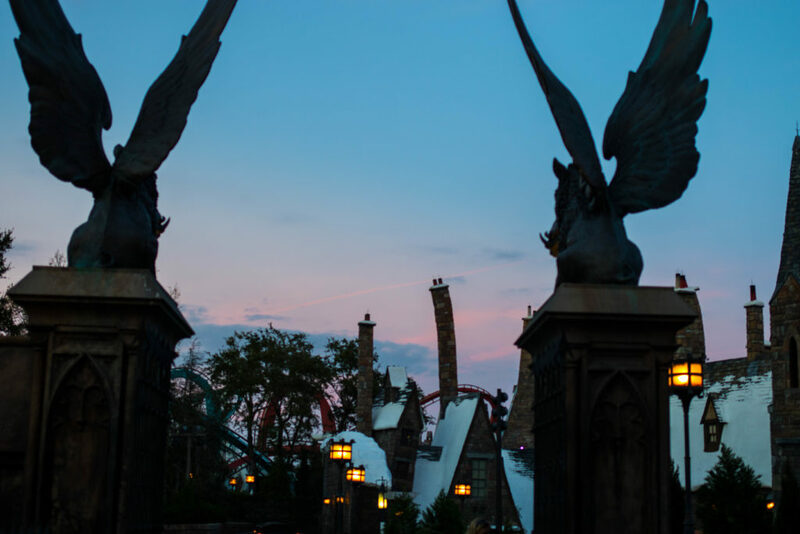 Don’t miss: sunset in Hogsmeade adds another level of magic. Visit when the sun has just set and the sky turns to shades of pink. Against the crooked silhouettes of chimneys and the glowing street lamps, it’s hard not to believe that you’re nestled in the Scottish countryside. 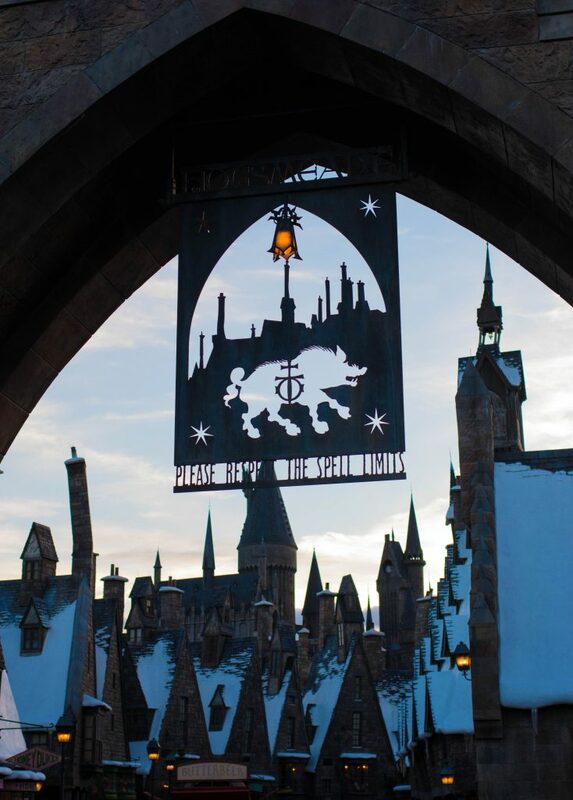 Located just outside of the village of Hogsmeade lies Hogwarts. If you’re arriving into Hogsmeade from Jurassic Park, this will be your first sight as you cross the bridge; crossing steamy rainforest into frosty Scottish countryside. Once again, if you’re expecting a cardboard cut-out castle and standard roller-coaster, you’re in for a surprise. This really is a magnificent castle, home to some very special wizards. We found that the best view of Hogwarts was from the Flight of the Hippogriff ride, as you climb high along the roller-coaster track. The Forbidden Journey ride is similar to that of Escape from Gringotts, and the queue itself is very much part of the ride. Taking you on a tour through Hogwarts castle, past Dumbledore’s office and Gryffindor’s Common Room, it’s easy to forget you still have a ride to come. Harry Potter and the Forbidden Journey is another motion based roller-coaster (another possible one to avoid if you suffer like Laura does) taking you flying through a Quiditch Match and a near escape from a pack of Dementors. If you don’t want to go on the ride itself, then you can still enjoy a tour of the castle. Our highlight was the corridor of talking portraits, nestled in the dark candle light of the staircase. As we begrudgingly left the park for the final time, we passed a family on their way into Hogsmeade – each and every one of them dressed as a Harry Potter character. Led by ‘Ron Weasley’, we turned to watch them pass. Under the setting sun, with the crooked towers of Hogsmeade behind them, for a moment it felt like the world of Harry Potter had finally become a reality. We had crossed that delicate line between fantasy and reality, just like those poor fans found floundering in the toilets. And here, crossing that line is something that’s very easy to do. Thank you to Visit Florida for inviting us to Universal Orlando Resorts for inviting us on a once-in-a lifetime holiday! 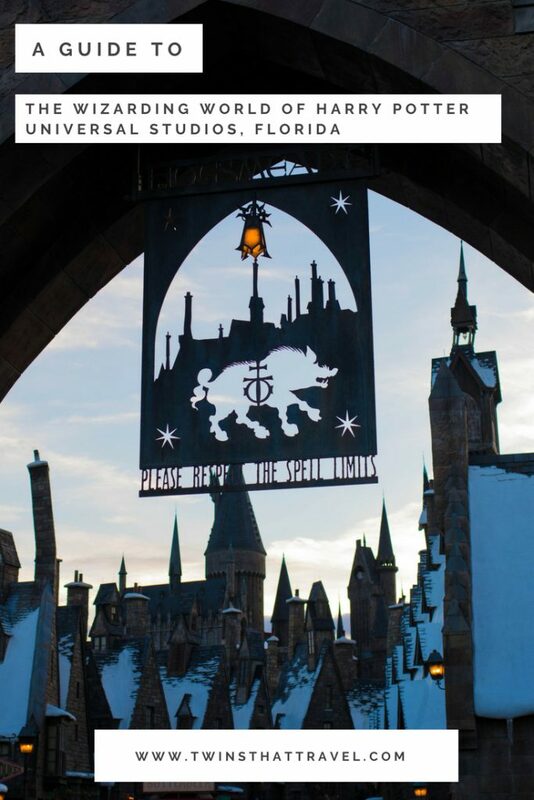 "The Best Things To Do At Universal Studios, Orlando: Hidden Gems"
"The Hidden Details of Universal Studios, Orlando"
So…I am fully aware that this makes me the saddest person in the world but I literally cried when reading this because I COULDN’T HANDLE HOW AMAZING IT LOOKS. I had chills. I need to be here, immediately. 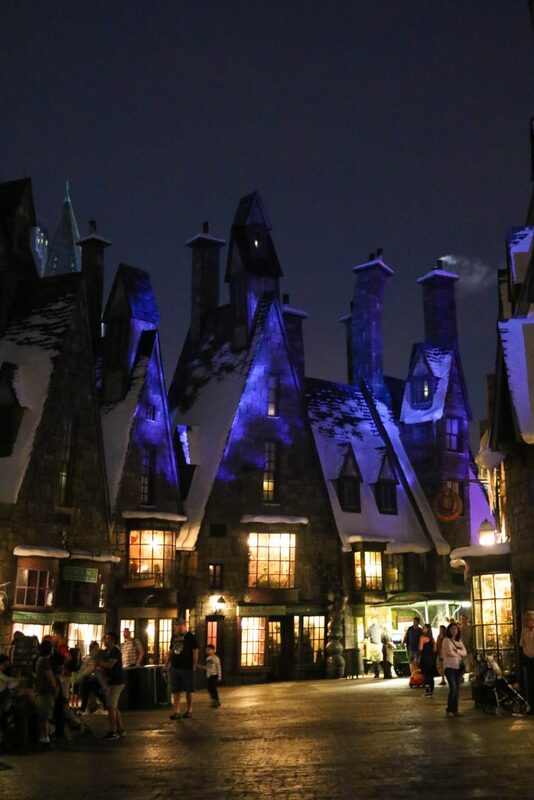 Screw my romantic anniversary trip in April…I’m going to Hogsmeade! Oh lovely….we just have to get you there. You need this too much. Amazing! So jealous, but reading about this really cheered me up. Magical! Amazing! As an avid lover of all things related to Harry Potter, I am very jealous that you ladies have been here. But your writing and amazing photos made me feel as though I was walking the streets of Harry’s London (Orlando?) with you. This sounds so so good. I thought nothing would beat your Instagram pictures but this post is fantastic. I need to go! Yay! We’re so happy to be converting people! So funny to have a touch of London in Florida! I bet most people hadn’t heard of Kings Cross before Harry Potter. Looks like you girls had a blast!! I would LOVE to do this and have been a massive Harry Potter fan for as long as I can remember! It looks like you had a fabulous time! Hey Laura and Claire, how much time would you recommend to do all of HP? 1 day or 2 days? Reading your post makes me even more excited for my visit in January!